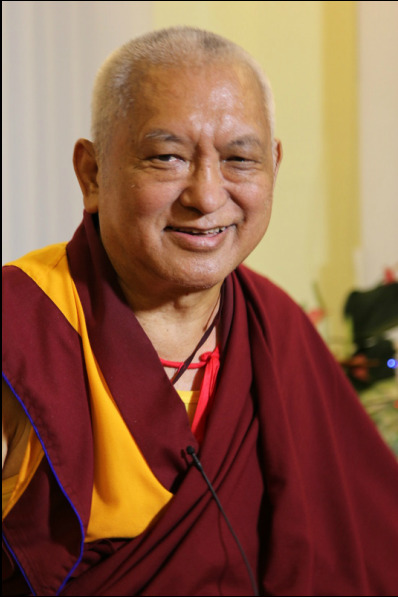 We are thrilled that Ocean of Compassion will be hosting a public talk by Lama Zopa Rinpoche! Rinpoche will speak on the true causes of happiness and how to achieve a lasting state of peace and inner well-being. This is an incredible blessing for all of us to be able to meet and receive teachings from such a highly realized being. Rinpoche will be conferring Refuge and the five Lay Precepts at the end of the public talk. They can be taken at one's option; the 5 Lay Precepts may be taken in part or full (taking 1-5 of the vows). It is strongly recommended for those of you taking Refuge and Precepts to attend the teachings.